Gartner Security & Risk Management Summit – Discount for CSFI Members! At the end of the day it is all about risk management! The Gartner conference will teach you plenty of strategies to help you deal with risk in cyberspace. If you have never attended this event it is time you do! Take advantage of the CSFI discount! Gartner will provide CSFI Members a $300 discount off the Standard Registration fee to the Summit. MUST use Priority code GARTCSFI. I will be attending the event! Please feel free to contact me if you would like to get together. 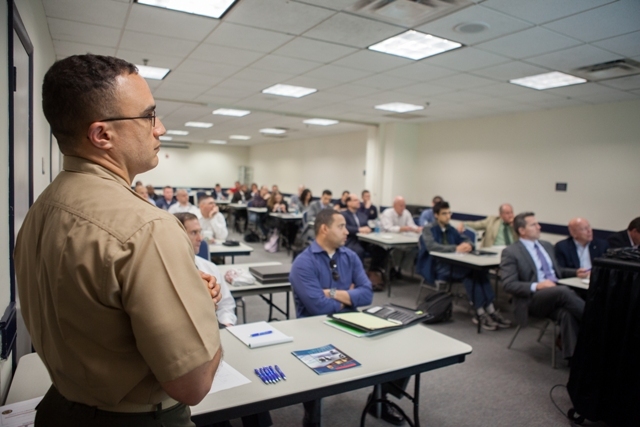 At the invitation of GW’s College of Professional Studies and the Cyber Security Forum Initiative (CSFI), Lt. Col. Yaroslaski and Major Guess-Johnson from the Marine Forces Cyberspace Command (MARFORCYBER) addressed a large group of students from the Security and Safety Leadership master’s program, GW faculty, and special guests. 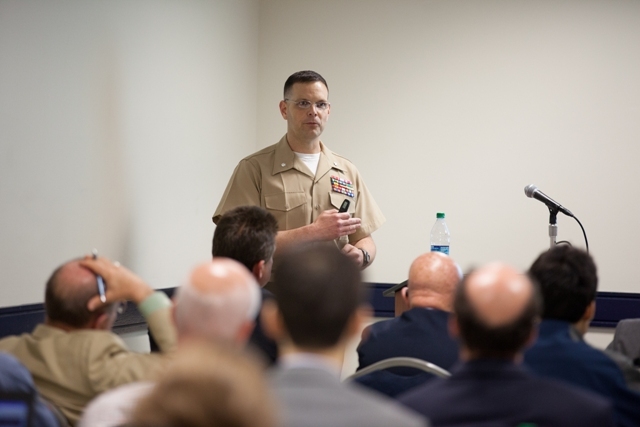 In their presentation, Lt. Col. Yaroslaski and Major Guess-Johnson covered various elements of their work, including the current cyber environment (exploitation, disruption, and destruction), and the role of the Marine Corps in cyberwarfare. 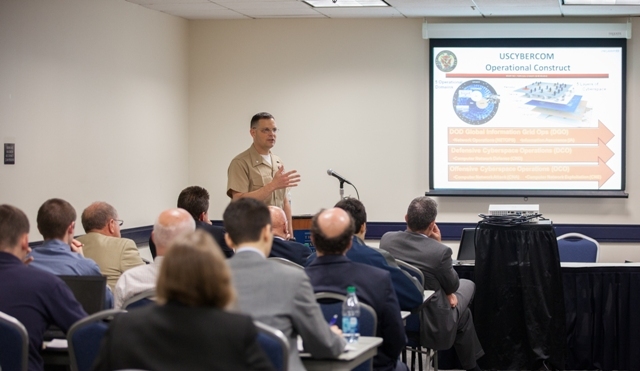 They also explored the USCYBERCOM operational construct, highlighting the DOD Global Information Grid Ops (DGO), Defensive Cyberspace Operations (DCO), and Offensive Cyberspace Operations (OCO). International Conference on Cyber Conflict is NATO CCD COE’s annual conference and the next one will be held on June 5-8, 2012 in Tallinn, Estonia. For the fourth year in a row the NATO Cooperative Cyber Defence Centre of Excellence invites experts from government, military, academia and the private sector to Tallinn to discuss recent trends in cyber security. 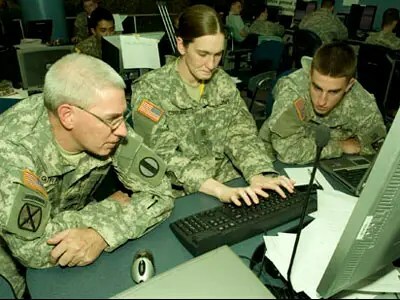 In 2012 the conference will focus on military and paramilitary activities in cyberspace. This topic will be explored from the political, legal and technical perspectives within two parallel tracks: the Law & Policy Track and the Technical Track. This workshop is targeted at non-technical experts who would like to have a deeper understanding of the technical side of cyber. Laptops are not required for this workshop. 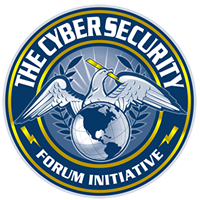 The workshop is conducted in cooperation with the Cyber Security Forum Initiative (CSFI). During this session, the architecture and the main components of the Internet will be described. Terms like “router”, “data packet”, “Tier 1 ISP” or “bit” will be explained. Further, it will be shown how information is passed through the Internet. The audience will also be provided information on possibilities and limits of blocking Internet communication at the “boarders” of a State. The evolving cyber threat landscape has demonstrated in recent years the gap between the level of security and visibility afforded by classic IT Security solutions and the obvious need for powerful and comprehensive data gathering mechanisms and analysis methods to enable investigation of cyber attacks. Accordingly, more and more security organizations worldwide are looking into employing further analytics and forensic technologies at an ever increasing scale. These technologies include: Network forensics, deep packet inspection (DPI), full packet capture, net flow analysis, traffic intelligence, cyber intelligence, network analysis & visibility (NAV) , advanced HIPS and NIDS & next generation firewalls. In the workshop, we will present in brief & examine some of the available technologies and methods, and explain how they can be utilized in order to investigate and analyze sophisticated cyber attacks. The audience will be provided the information of what botnets are and how they are set up. The main criminal areas of the usage of botnets will be shown. Additionally, cases of main “real-life” botnets as well as their take-down by law enforcement authorities will be presented. This will include the explanation of the possibilities of monitoring, taking-over and taking-down of botnets. The nature and working area of CERTs will be presented. Especially, it will be shown what measures CERTs usually use in order to monitor and protect a computer network. In this context, also the potential need and actual extend of national, bi-lateral and international (e.g. FIRST) cooperation between CERTs will be explained. This will include a general description of the information which of the exchange would be desirable. Cyber Attack Scenario Discussion: Hacker? Criminal? Hactivist Group? Nation State? A panel of experts walks you through the key points, concerning a realistic cyber attack scenario, in determining the intent and attribution of a cyber attack. For full description, please download the flyer here (PDF). Panel members include Chris Painter, Cyber Coordinator, U.S. State Department, Megan Stifel, U.S. Department of Justice, Trent Teyema, Federal Bureau of Investigation, David Smith, Director, Georgia Security Analysis Center, Tbilisi, Sue Lee, Johns Hopkins University Applied Physics Lab, Laurel, MD, Jaan Priisalu, Director General, Estonian Information Systems Authority (RIA) and David Ferbrache, Head of Cyber Policy and Plans, UK Defence Cyber Security Programme. * Views presented by panelists are personal and do not represent official organisational or US Government policy positions. 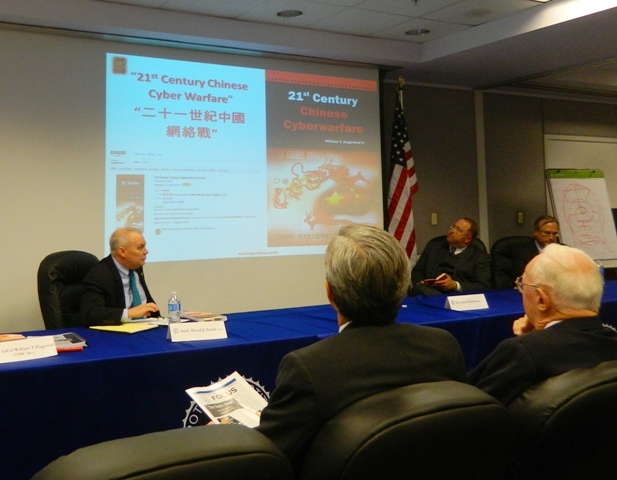 I had the opportunity to attend the event at the Potomac Institute Cyber Center: “Fundamentals of Chinese Information Warfare and Impacts on the Western World” With William T. Hagestad II, Author of “21st Century Chinese Cyberwarfare”. We had a full room with the event being moderated by Amb. David J. Smith (Ret. 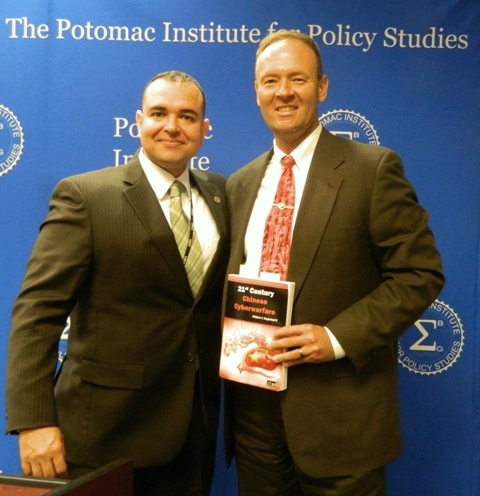 ), Potomac Institute Senior Fellow and Director, Potomac Institute Cyber Center, and special guests Dr. James Mulvenon, Vice President, Intelligence Division and Director, Center for Intelligence Research and Analysis, Defense Group, Inc. and Mark Stokes, Executive Director, Project 2049 Institute. I highly recommend William T. Hagestad II as a speaker on the subject of Chinese Cyber Warfare. William T. Hagestad II will be also developing CSFI training material, and I am honored to welcome him as a new member of our team of CSFI authors! William’s first book, “21st Century Chinese Cyber Warfare” was published on 1 March 2012! Lieutenant Colonel (RET) William Hagestad is an internationally recognized subject matter expert on the Chinese People’s Liberation Army & Government Information Warfare. He advises international intelligence organizations, military flag officers, and multi-national commercial enterprises with regard to their internal IT security governance and external security policies. 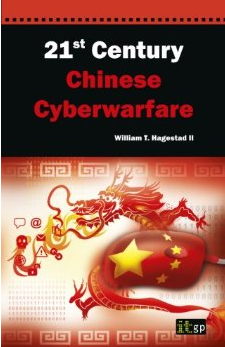 The linguistic, historical, cultural, economic and military aspects of the Chinese Cyber Warfare are his forte. When national cyber security or protection of intellectual property is in question from Chinese Cyber Threats, Hagestad is consulted. Enlisting in the United States Marine Corps in 1981, LtCol Hagestad’s military experience and service spans over 27 years. He served in numerous command posts, including acting as the Anti-Terrorism Office for Marine Central Command during the initial build-up and subsequent operations in Iraq during 2002-2003, and serving with both I and II Marine Expeditionary Force (MEF) and the US Army’s 1st Armored Division in Ramadi, Al-Anbar Province Iraq during 2006-2007. His personal decorations in the Navy Commendation Medal, Navy include the Achievement Medal with Gold Star, Operation Iraqi Freedom Medal with single campaign star, and the Global War on Terrorism Medal He continued to serve in an advisory position as an Anti-Terrorism/Force Protection Officer until retiring in 2011. LtCol Hagestad provides current cyber threat assessments to international defense, intelligence and law enforcement entities. 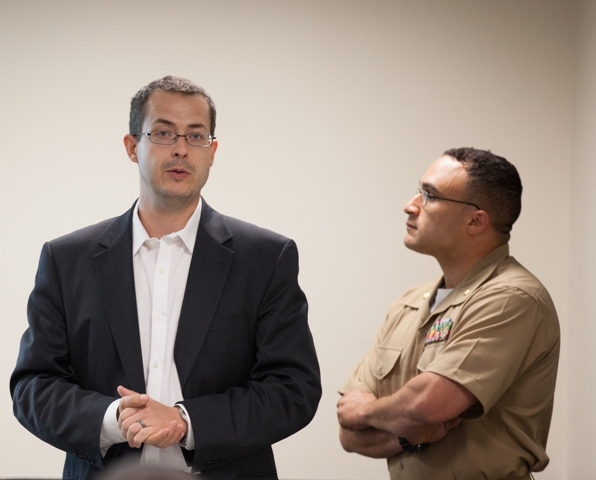 He speaks both domestically and internationally on the Chinese Cyber Threat. His first book, “21stCentury Chinese Cyber Warfare” was published March 2012. LtCol Hagestad holds a Master of Science in Security Technologies from the College of Science & Engineering, University of Minnesota and a Master of Science in the Management Of Technology from the Technological Leadership Institute, University of Minnesota. He received a Bachelor of Arts in Mandarin Chinese, with minor emphasis in Classical Chinese and Modern Japanese, also from the University of Minnesota. 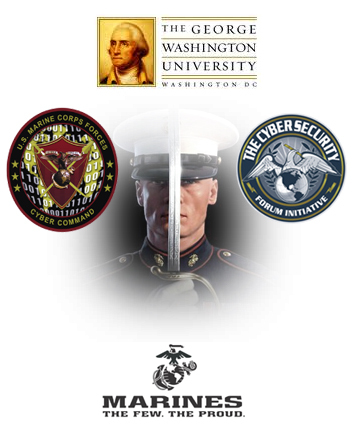 IDGA’s Cyber Warfare & Security Summit (http://bit.ly/JlwFUw) is coming up this June in Arlington, VA and as a CSFI group member you are eligible for a 20% discount off standard rates. This year’s event will cover in-depth discussions about the current plan scenarios for cyber attacks and the importance of international alliances for cyber security. In addition, the summit will have insightful case studies such as ‘protecting networks’ and ‘which government and private company systems are most in danger’. CSFI is an IDGA’s media sponsor! 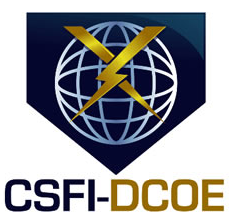 Become a CSFI-DCOE (Defensive Cyberspace Operations Engineer). 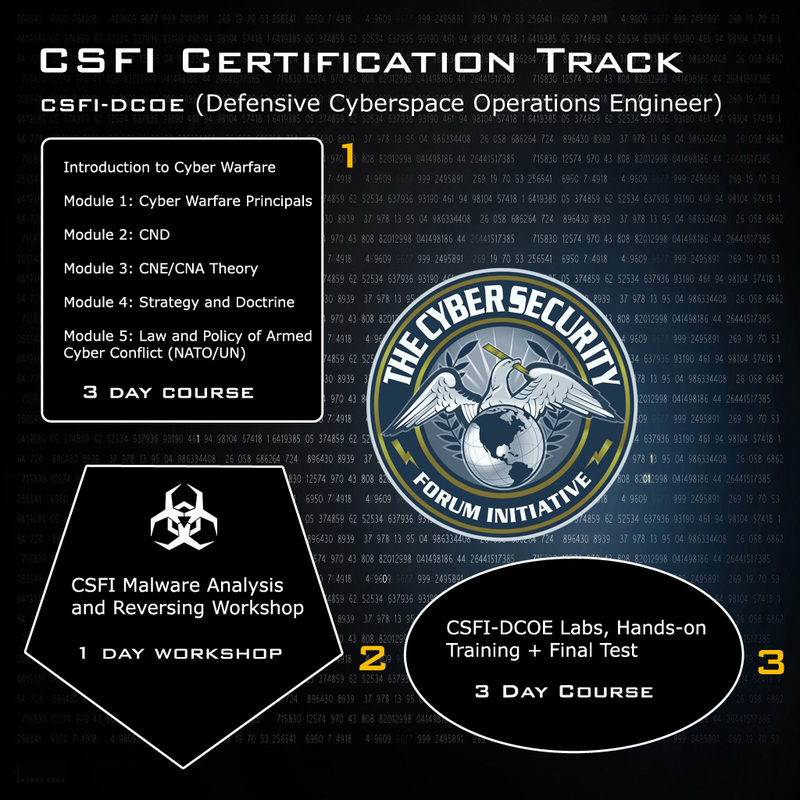 This is a unique CSFI certification track covering cyber operations (full spectrum). This track is designed to give the cyber warrior of today advanced capabilities.